*We build custom laminate countertops with flat edging. Rolled edges or stone tops we have Colonial Countertops make them for us. Colonial Countertops are a family owned and operated business, specialising in the fabrication and installation of decorative surfaces. With over 40 years experience as leaders in the industry, Colonial Countertops is committed to offering the utmost in quality and durability. Colonial Countertops strives to provide outstanding customer service, by aligning themselves with the leading suppliers, in order to provide the highest standard of product available on the market. M and J Woodcrafts is our provider of high-quality wooden cabinet doors, and we’ve chosen them for some very good reasons. First off, M and J are well-known for their top-quality work, earning the Delta Chamber of Commerce Business of the Year “Hats Off” award. M and J also produces doors very quickly, with their advanced CNC-based production that gives them both quantity and quality. 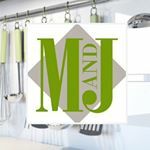 Finally, M and J Woodcrafts goes through the steps necessary to provide their services environmentally-friendly manner, so our customers can feel good about their kitchen renovations.